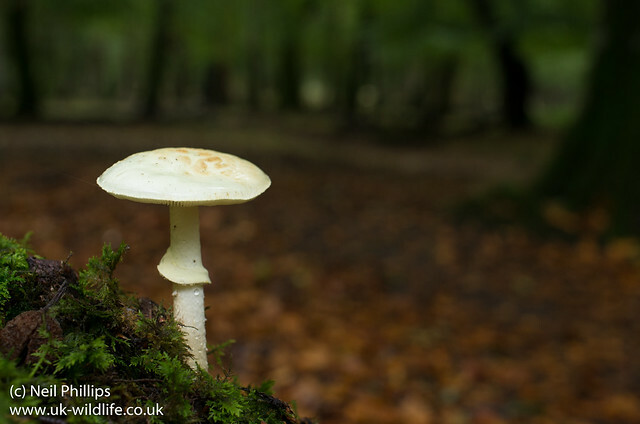 A couple of photos from my trip to the New Forest last weekend. 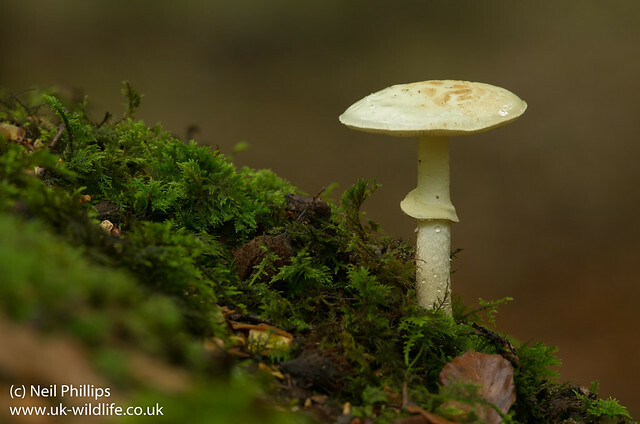 This false deathcap Amanita citrina was growing on a nice mound of earth, moss and rotting wood, making it easy to get the background out of focus. I then tried the opposite effect with the 35mm macro and brought the background into focus to show the setting.